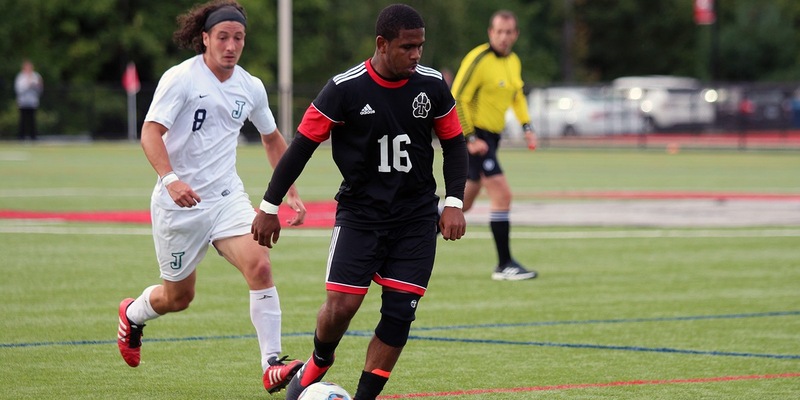 The Thomas College Men's Soccer team shutout UMaine-Presque Isle 3-0 in a North Atlantic Conference (NAC) game. Thomas College got on the board late in the first half, with DJ Nicholas scoring in the 42nd minute to make it 1-0. Josh Morrissey made it 2-0 at the half, netting a feed from Princiel Kunieki in the 44th minute. Samuels added an insurance goal in the 67th minute to give Thomas the 3-0 victory. Jonathan Dutka picked up his 10th win of the year in 45 minutes of work, with John Villanueva manning the net in the second half.